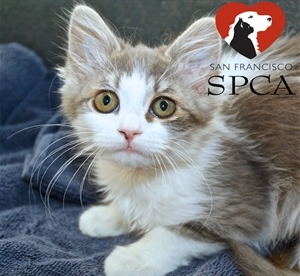 San Francisco SPCA Expands “Community Cares” Initiative to Bring Vital Animal Care to Local Neighborhoods. It brings free or low cost animal care to SF neighborhoods. Headlamps are needed when we are trapping pets at night. With winter coming it's important that food stays dry and off the ground. Feeding stations do the job. Used by a community outreach and dog-training programs, a steady supply of harnesses is a must for us, since many of the clients do not have an ability to purchase them. $11.99 $0.00 2 of 2 Complete! $64.59 $4.49 1 of 1 Complete! $3.39 $1.00 5 of 5 Complete!